Orange Plaza Rotary observed World Polio Day with a special “Polio Update” presentation by Past District Governor Rae Shirer. The program will be repeated on November 5th. Members of the public are welcome to attend to learn how Rotary’s efforts to eradicate polio worldwide have made it much easier to battle other diseases, such as ebola. This entry was posted in End Polio Now on November 2, 2014 by Rae. As World Polio Day approaches, many Rotarians wonder if polio can truly be eradicated in the world by 2018. Meanwhile, most American are unaware of the risk that polio could, once again, become a problem on our own shores. Join us on October 22nd, for an update on the battle to beat polio and learn why Rotary’s efforts make it easier to combat other diseases such as the ebola virus. This entry was posted in End Polio Now on October 3, 2014 by Rae. 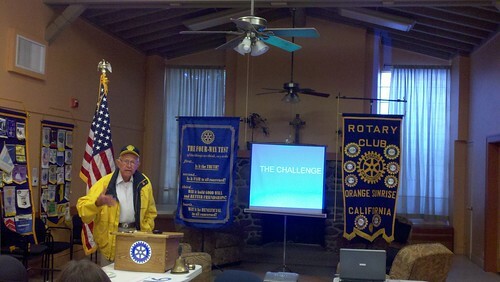 Past District Governor Herb Trumpoldt (RC Yorba Linda Sunrise) visited Orange Sunrise Rotary on September 7th to share his experience as part of a Rotary National Immunization Day in India this past winter. With dozens of photos he took during the trip, Herb illustrated the unsanitary conditions of India’s poor, which contributes to the spread of the disease in that country. He also highlighted the cooperation of dedicated local community leaders, government, United States health organizations and Rotary to distribute thousands of doses of polio vaccine to India’s children. Polio, practically unknown in the United States since the introduction of a vaccine in the 1950’s, is still endemic in four countries of the world: Pakistan, Afghanistain, India and Nigeria. 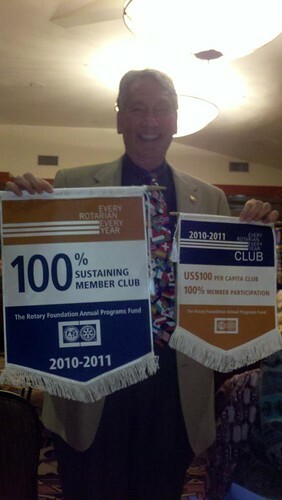 Rotary International has been committed to the eradication of this life threatening, crippling disease since 1985. This entry was posted in End Polio Now, International Service on September 7, 2011 by Rae.